Don't just tell time with your clock, create a statement piece! 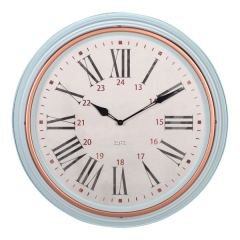 This cream wall clock gives a touch vintage style wrapped up with a contemporary coloring. The cream metal case and Silver bezel contrast beautifully with the Black of the centerpiece and Roman numerals to create a design that stands out from the rest. Delicate quartz movement keeps everything moving along just right. 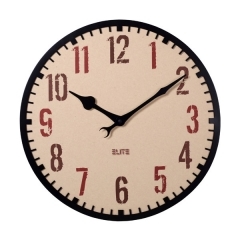 Give your home the functional art it's been waiting for with this retro wall clock. Features with cream color, silver rim and bold Roman numerals. 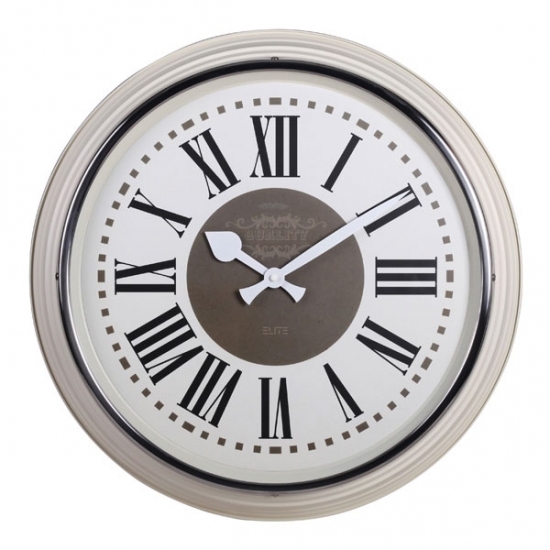 Classical wall clock with spade modern white clock hands. * All the clocks accept customization, to know more info such as model, factory price, trial order quantity, please contact sales representative. 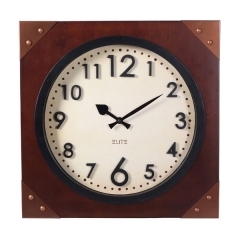 * The ELITE group, a manufacturer with more than 25 Years experience in clock industry, ensures that each unique design can be fully rendered. This classic steampunk wall clock perfectly touches on vintage and steampunk style with its aged, textured paper dial, and industrial design. 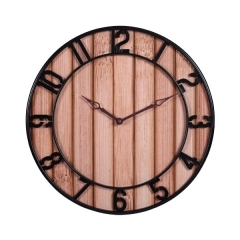 Bring all of the old world sophistication to your home or office decor with this vintage inspired wooden square wall clock. The classic paper clock dial is the perfect contrast, in color and style, to the square wood case. 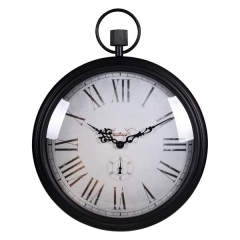 The decorative big wall clock with diameter 59 cm, simple antique style for big space, you can see it at a glance. 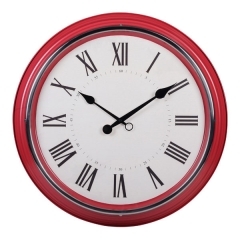 The indoor railway station wall Clock designs for Europe. 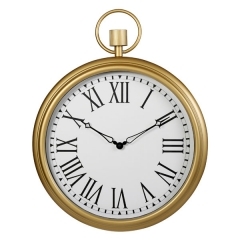 The design idea came from pocket watch. 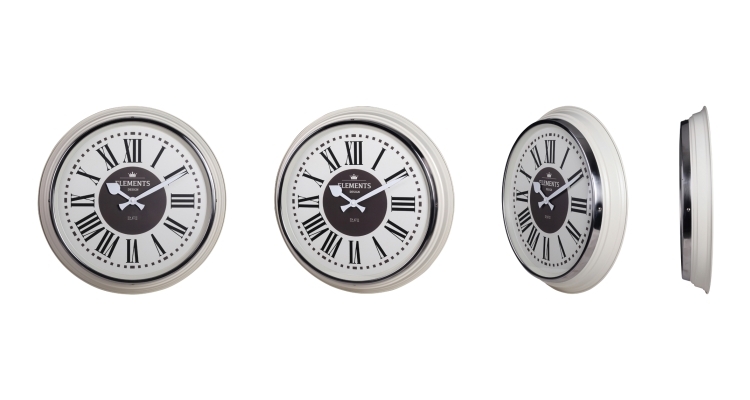 One with modern dial design, the other is with antique dial design, and then match with different color assortment brush finish clocks cases. Who says you need fussy design or bold color to be interesting? 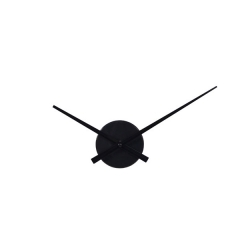 This striking modern large wall clock is the best of simplicity and functional art. 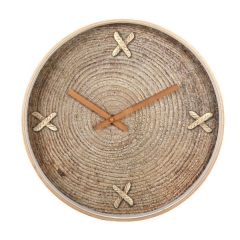 Ravishingly rustic and full of charm, this round country style wall clock looks remarkable when displayed in a living room, bedroom, kitchen or den decorated with a backwoods nature-inspired theme. The stunning oversized wall clock clock is the best of fashion and function with a minimalist design to match every color scheme and room decor. 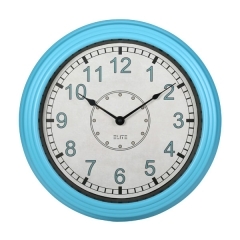 Fun, trending colors meet classic design with this elegant large round wall clock. Choose your favorite from two colors: Blue and Misty Rose. You've finally got your home decor nearly picture perfect, but there's just one thing missing - a Victorian inspired big wall clock. The Powder Blue of the metal case and Bronze color bezel create a beautiful contrast. 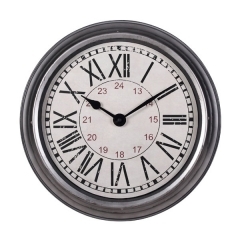 This large vintage wall clock is the picture of versatility with its antique finished Grey metal case. 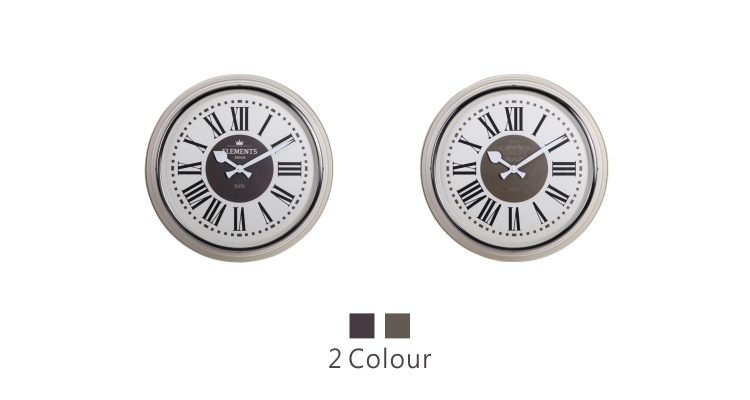 Little touches like weathered metal dials and bold black Roman numerals give the wall clock its character. Give the gift of functional art with this gorgeous golden wall clock. 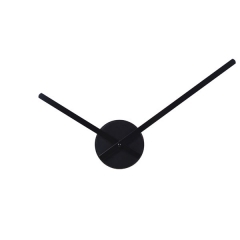 This sophisticated wall clock will certainly elevate any home décor style with its simplistic but striking design.